It is relatively simple to get married on our beautiful paradise island. With its beautiful sandy beaches, ideal tropical climate, gorgeous beaches, majestic beautiful mountains and several luxurious resorts, weddings in Mauritius is truly a dream come true. Mauritius Attractions take great pleasure and pride in helping you plan your dream wedding, making the whole wedding process simple and easy. Please take a look at our quick guide to the different steps for having your wedding in Mauritius. Let us plan the perfect wedding for you according your desires and wish - Mauritius Attractions offers variety of wedding packages from you to choose from, as well as the option to tailor made a dream wedding as per our clients requests. You can decide in advance on the type of location and venue you would prefer and we would be happy to provide you with all the necessary information, as well as add our personal input and advice for creating your perfect wedding for you to cherish forever. 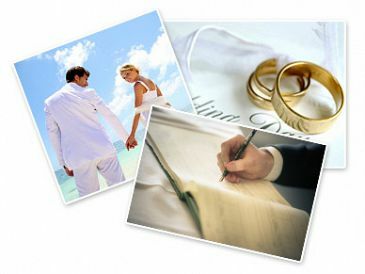 Send all the copies of the relevant documents required for the legal procedure at least 8 weeks in advance ensuring that you have the original birth certificates and any additional legal documents and papers which are required (Consult our wedding coordinator experts to learn more on the Legal Requirements for have your wedding in Mauritius). Ensure that your passport is valid for more than six months from your expected departure day from Mauritius. This should be valid for both yourself and your other half. If this is not the case, then you will need to apply for a new passport, making sure you will receive the new passport enough time in advance. In case you will be travelling to other destinations which need appropriate vaccinations or malaria tablets, please ensure that both of you are up to date with all of the present requirements. For your information, no vaccinations or malaria tablets are required for visiting Mauritius. In case a visa is required for your holiday to Mauritius, we would suggest that you contact your consulate to make sure this is done by the date of your departure. Please do not hesitate to contact any of our senior travel consultant for obtaining all the relevant information regarding Mauritius' visa requirements. One week before travelling to Mauritius, you should be getting very excited and looking forward to your magical holiday and wedding on our paradise island. We do recommend to check that you have suitable luggage carriers for all wedding outfits. For the future bride – according to the tradition, something old, something new, something borrowed and not to forget something blue! When you arrive in Mauritius, you will take the day to settle in to your preferred hotel, relax by the swimming pool, have a cocktail while enjoying the stunning Mauritian sunset and enjoy your first day in paradise. Afterwards, Mauritius Attractions' wedding coordinator will contact you to finalize the last remaining details, making sure all is as per your expectation for the big day. 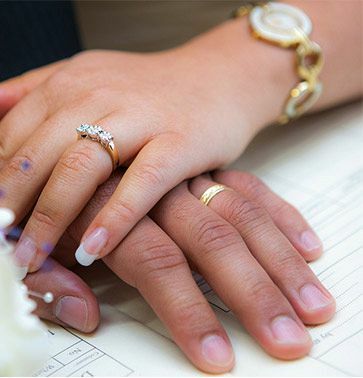 Together, you will go through the planned itinerary of your special wedding day, help you choose the type of flowers and check the last minute details.